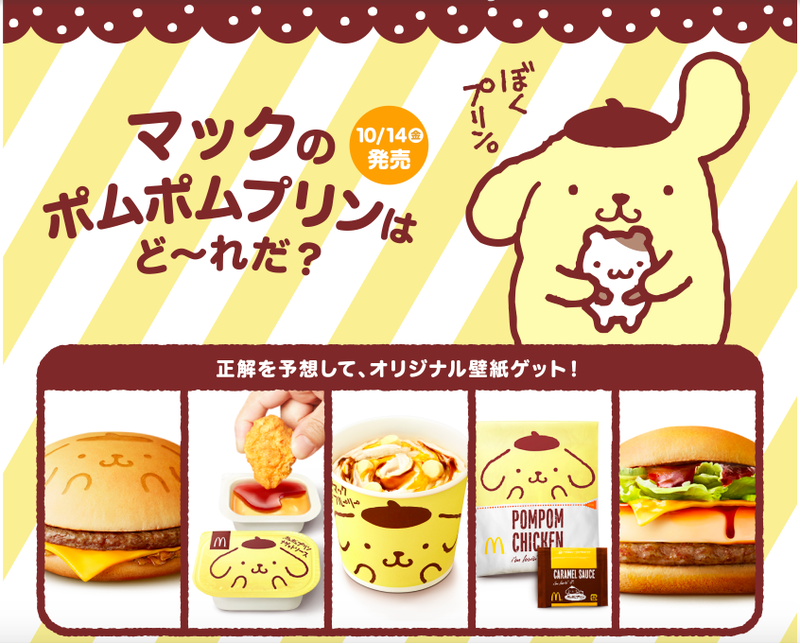 When I was looking through McDonald's Japan HP, I found they'd launch Pompompurin product on October 14, 2016. Currently, there're 5 possible items (1. 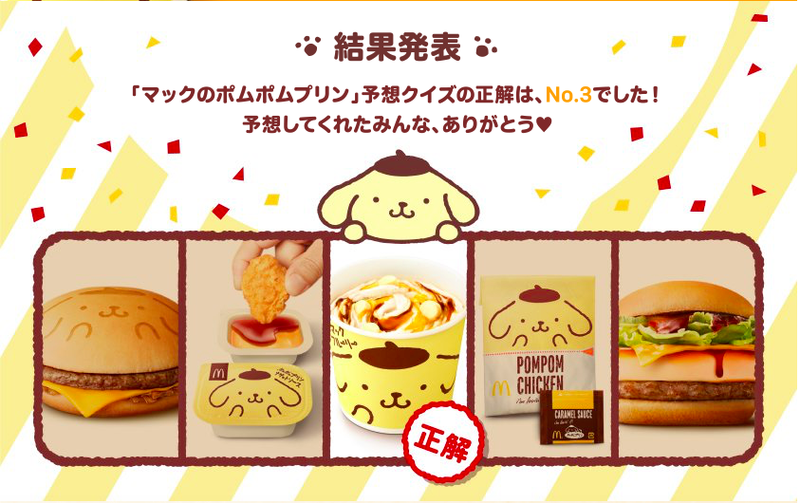 Pompompurin Burger, 2. 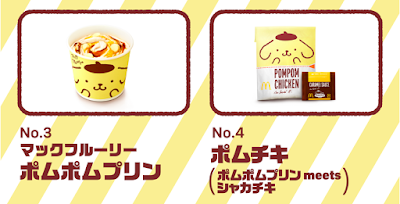 Pompompurin Sauce for Chicken McNuggets, 3. 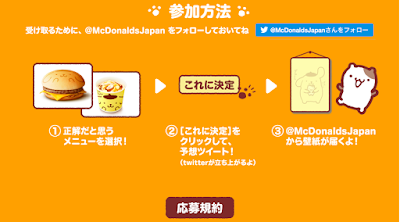 McFlurry Pompompurin, 4. 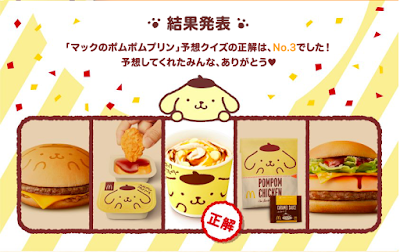 Pom-Chiki [Pompompurin Meets Shaka-Shaka Chicken] and 5. Ba-Be-Pom [BBQ Pompompurin Burger]), and you can guess and tweet which menu would be sold and get a wall paper. * Shaka-Shaka Chicken (a.k.a. Shaka-Chiki) is a fried chicken in a paper bag, and you add seasoning and shake the bag, and Shaka-Shaka is the imitative word of the move to shake up and down. The answer will be announced on October 7th. 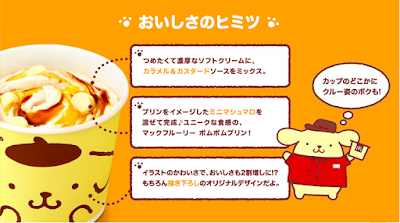 Pompompurin (Pom Pom Purin) is a Sanrio character, and it's a golden retriever in a beret, and it looks like a pudding (purin in Japanese), thus it's named Pompompurin. I'll update this post when I review the actual item(s). (Posted on October 2, 2016). 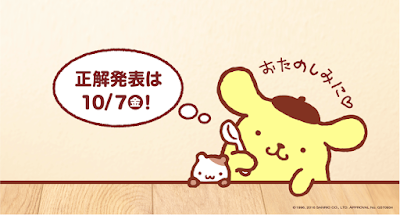 They announced the new item to be sold on the 7th. 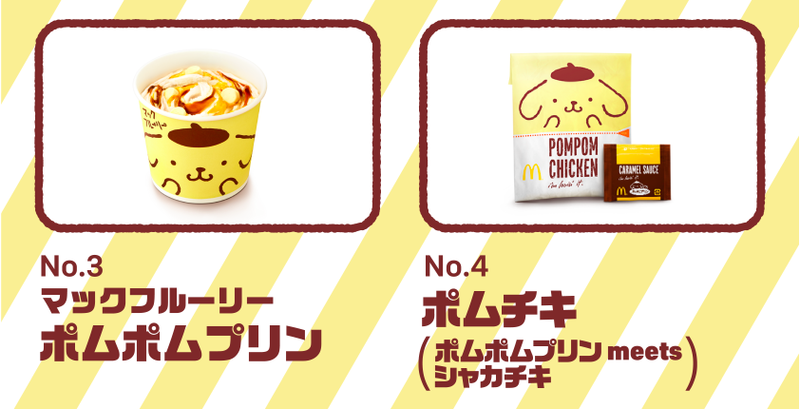 They're going to launch McFlurry Pompompurin from the 14th, and I was disappointed at this too-ordinary-and-boring menu. 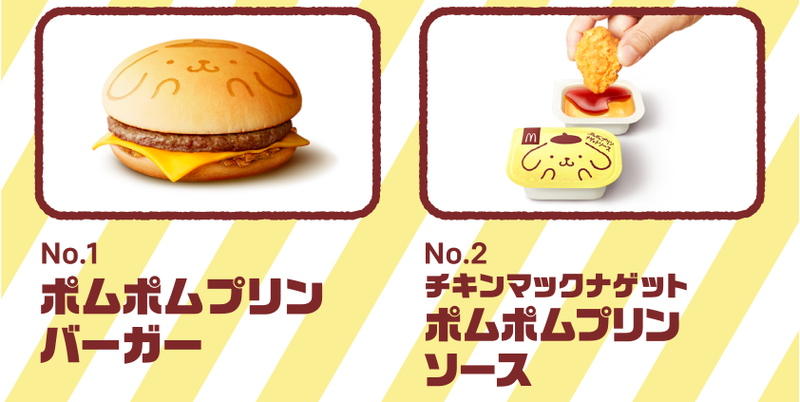 I wish they had also announced to release some eccentric item(s), too. From 10:30 AM of today, October 14, 2016, they launched McFlurry Pompompurin for a limited time. 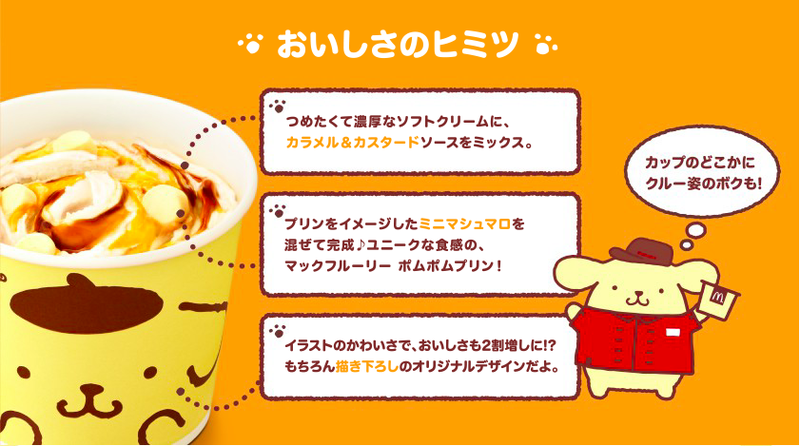 The special cup is available for a limited quantity and it had Pompompurin. This McFlurry had sweet pudding scent. I removed the plastic lid to see the design clearly. This Pompompuruin is wearing McDonald's uniform and a cap. Caramel sauce, custard sauce and mini marshmallows were mixed with soft serve. Mini marshmallows were fluffy and chewy in the center, and caramel sauce had subtle bitterness while the custard sauce was eggy and sweet. The cup was small and I finished this sweets easily. * Regular price is 290 yen.